One of the challenges we have here as mechanics at Jimbos is working on old cars that have seen better days. 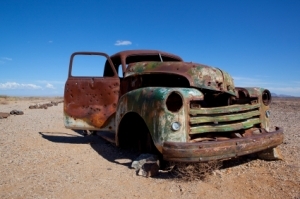 Sometimes the maintenance costs to keep an old car outweigh the benefit. After all, it’s no good having to spend $500 every 3 months to keep a $3,000 car on the road. One of the keys components here at Jimbos is that we tell it like it is. So if your car has seen better days and you’d be better off buying a newer one, then we’ll have a chat. We’d much prefer less work and have you with less maintenance costs on a better car, than having you continue to throw good money after bad.